Water Sensor 6 can detect minuscule amounts of water – as little as 0.5mm / 0.02” of water. That makes it your first line of defence against damaged plumbing. Whether a small amount or large, Water Sensor 6 also is perfect at protecting against the floods you can anticipate, such as sumps and in basements. Accidents happen but that doesn’t make the damage caused by forgotten taps any less expensive. 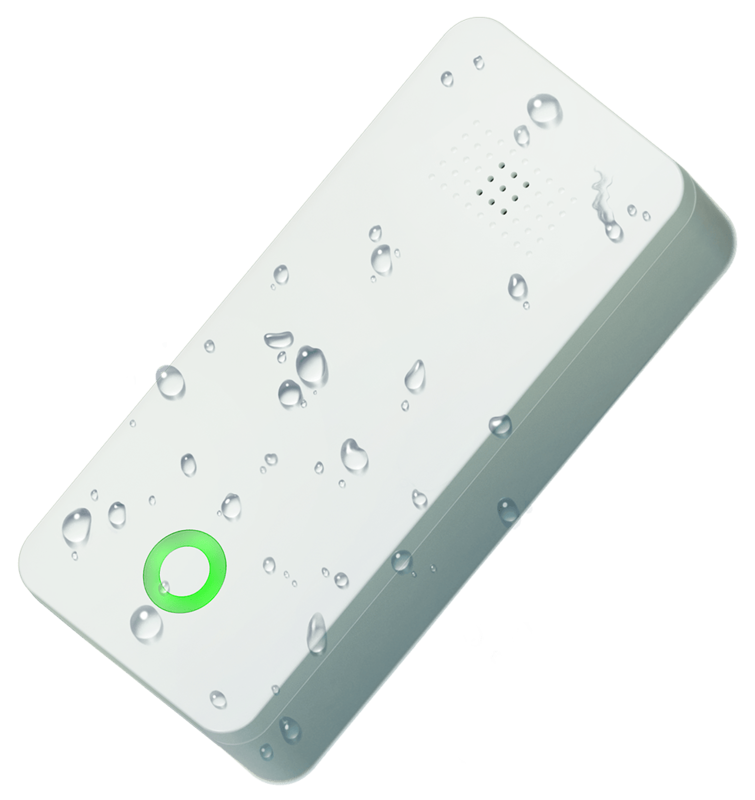 Water Sensor 6 can alert you to the water you’ve forgotten to turn off before it’s too late. Water Sensor 6 doesn’t just monitor for when a pipe has burst or is leaking, it can take protective measures to help limit the amount of damage caused. Using the power of Z-Wave you can put Water Sensor 6 in control of other Z-Wave devices so that, when the worst occurs, Water Sensor 6 do anything from sending alerts to turning off electricity and water valves in order to protect your home and your loved ones. Leaks often happen in the worst of places. Behind things, under things, and in all those hard-to-see places that mean you don’t see the leak until it’s far too late. That’s why Water Sensor 6 is so slim – it’s only 3.8cm wide and 2.4cm tall. That means Water Sensor 6 will fit and blend in wherever you need it, whether that’s in a hard to reach space or one where it can be seen. It’s been designed to protect your home and it’s also been designed to make your smart home smarter. Three separate sensors are crafted into each Water Sensor 6. Each of these sensors can be used to create intelligent home control scenarios via your Z-Wave gateway including the management of underfloor heating, HVAC control, and driveway heating. 4 gold tipped water probes actively monitor for leaks and drips. Tamper and emergency events are confirmed by an algorithm that includes vibration detection.